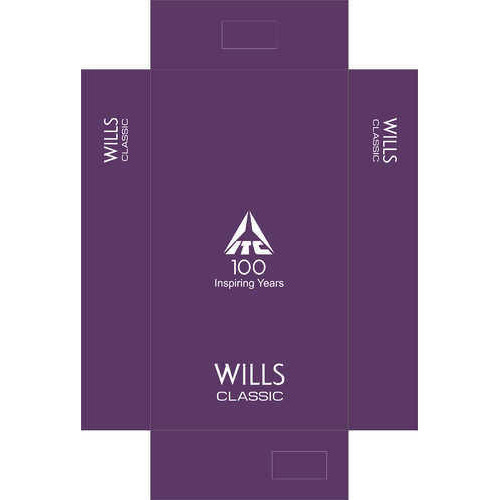 Being a well-established organization of this industry, we are engaged in furnishing first class Wills Box Printing Services. These services are rendered by our skilled professionals possessing in-depth knowledge in their concern field. Keeping in mind defined quality standards, we execute these services within stipulated time-frame. Our team of quality experts always takes care of the whole process while executing these services to ensure their quality. Established in 1986 in Delhi (India), we “Hans Art Cartons” are a noteworthy organization actively engaged in rendering well organized and reliable services for Business Cards Printing, Marketing Materials Printing, Invitations & Announcements Card Printing, Stationery Printing, Embroidered Clothing Printing, Calendars Printing, Photo Gifts, Labels & Stickers Printing, Cartons Box, Boxes & Magazines, Brochures & Catalogs, Posters and Digital Printing. To make sure that our services never suffer a drawback, we are backed by dexterous and highly experienced team of professionals that plan and implement the strategies with a marked degree of perfection. The tendency to offer precise and desired results through our services has enabled us to dominate in this domain. Our offered services are highly appreciated in the market due to high printing quality, reliability, cost effectiveness and timeliness. In addition to this, we are a client-centric organization that develops the scheme of execution of the offered services as per the specifications given by clients. We have the pleasure of introducing ourselves specialists in the field of printing works, we are dealing in printing Business for the last 27 years. We always be live firmly in the importance of establishing the clients reputation in Consumer's mind. It shall be our great pleasure in getting associated with you and we assure you that we shall go together a long way with this promise. Wedding, Invitation, Greeting Cards, Challan Books, Letter Pads, Bill Books, Envelops, Vouchers, Tags, Labels, Stickers, Pamphlets, Posters, Cartons, Card Board Boxes, Four Color or Binding & Office Stationery Under One Roof. Thank you and assuring you of our result oriented services.